Post-referendum, reading the news is about as dispiriting as it can get. As if the collapse of government and the risk of economic destruction weren't enough, we're also getting a daily dose of the most remarkable case of workplace bullying that's ever been seen - the way Jeremy Corbyn is being treated by the Parliamentary Labour Party. The media have been delighted at the internal bickering and sniping within the Conservative Party in the lead up to the referendum. It might have looked like Game of Thrones, House of Cards, a Tory Civil War, but it's a very different conflict from the one tearing Labour apart. The Conservative Party presents a broadly united front except for a single issue (Europe), and it's roughly evenly split on that one - and the politicians have taken care to attack each other's rhetoric and points a lot more than each other's characters. (Well, Heseltine talking about Boris is an exception). In Labour, meanwhile, the conflict plays out as 170 people against one. Every single attack is on his character and person. However, the one is the avatar of a few hundred thousand voters, and the underlying conflict is much more broad in its ideological differences. Labour is no longer a united front of any sort, and it's dying. Chakrabati's inquiry into racism in Labour concluded that there is no systemic problem, but that there is an 'occasionally toxic atmosphere'. What an understatement - the atmosphere has been toxic since Jeremy Corbyn announced his intention to stand as candidate, and has been getting steadily more toxic by the day. It's also been very clear, right from the start, that principles are more important to him than networks. He's not a bridge builder, not an appeaser, not someone who compromises on the fundamentals. He's an outsider with a strong moral core and values that match those of many grassroots left wing and liberal activists (including me). Perhaps unsurprisingly, he had few allies among Labour's MPs, after many years of not towing the party line if he did not agree with it. Even so, the viciousness of the internal conflagrations in Labour took me by surprise. Right from the start, barely a week went by without some senior Labour politician declaring him unfit to rule. On an almost weekly basis, some people in the shadow cabinet planted stories in the press suggesting that Corbyn was planning to fire them all. Somehow, they played the victim even though no attack had taken place. Looking just at the facts rather than rumours and accusations that never materialised, Corbyn has been admirably principled leader. A minor cabinet reshuffle took place, MPs were given freedom to vote with their conscience on military intervention in Syria, and, though immediate rumours were planted that Corbyn was planning to get rid of Hilary Benn after all the positive attention the press had paid to his (rich in rhetoric, thin on substance) speech, Corbyn did not 'punish' anyone for having disagreed with him. The most mindboggling thing is how the press have been selling the idea that Corbyn is a vengeful, plotting schemer, when all the scheming and plotting appears to have occurred around him. Then, the "anti-semitism" crisis which was carefully manufactured by the media and a handful of politicians, presumably because of Corbyn's history of supporting Palestinians. Corbyn again responded as a decent person might: by launching an independent inquiry and putting a highly regarded outsider in charge of it. Now, the mass resignations and votes of no confidence by MPs, apparently carefully stage-managed and long in the planning, are designed to remove him. The amount of spin that's been employed against Corbyn is mind-boggling. Labour winning a by-election despite Corbyn being its leader? A failure (because UKIP came second). Winning the biggest share in local elections? A failure (because Labour didn't make gigantic gains, merely four mayoral posts and a few councils). Having more than two thirds of his party's supporters vote for Remain? A catastrophic failure (because all Labour voters should have obeyed Corbyn?). The man could solve climate change and yet still be branded a failure by his party politicians and the press. He's standing fast so far, but I can't imagine the psychological pressure he must be under. The most bullied man in Britain. JK Rowling spends a lot of her energies attacking Corbyn at the moment. This is disappointing, because I usually respect her opinions. 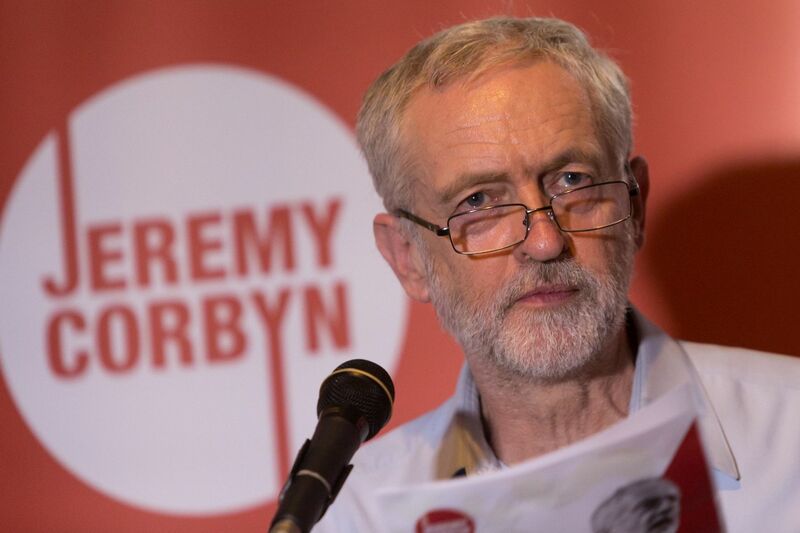 However, it's also true that Corbyn has attracted support from die-hard socialists, from angry activists who are as angry and bitter on the left, as Britain First & UKIP are on the right. Corbyn has repeatedly spoken out against their behaviour. But the press and public discourse are acting as if they are his base. They're not. Jeremy Corbyn's base of support is built on people who have been feeling disappointed with Labour for years. It's built on people who vote Labour as "least worst option", not because they believe Labour still stands for anything. It's built on people who have been voting LibDem and Green in some elections because Labour had moved too far from its principles. It's built on people who felt alienated and yes, betrayed, by Tony Blair's government. It's built on people who look at Nicola Sturgeon and wish she'd not be a Scottish Nationalist, but a Labour Leader, people who think Blair was a despicable war criminal, who want more idealistic, principled leaders, people who think that the difference between New Labour and Compassionate Conservatism is paper thin, and who are sick of being forced into a binary, tribal choice because their own instincts are not "new" labour at all. Many of my friends are Corbyn supporters, having voted LibDem, Green, and, strategically but reluctantly, Labour. When I joined Labour, I had to promise to adhere to its principles, which include "socialism". I am not actually a devout socialist, so I hesitated slightly. But Blairite MPs? Would any of them openly call themselves socialists? Under Blair, Labour stood for one thing only: wanting to be in power. It had no core beliefs, except that it was "not the Tories", and that seemingly was enough for Blair & Co. I do not support political parties like people support football teams. They are meant to be more than a brand. They are meant to have some kind of philosophical basis. Corbyn, of all the candidates in the last leadership election, seemed to be the most ideologically Labour candidate, and that was why I voted for him. It's not Jeremy Corbyn who is tearing the Labour party apart - it's the MPs. They've wronged him, they've wronged Labour supporters, and they are making Labour completely unelectable. Assuming there will be a leadership contest, will I use my Labour membership to vote Corbyn? I think he's like Jimmy Carter - a great man, but not, perhaps, a great politician. (Turns out having a large network of sleazy and corrupt MPs is a pre-requirement, unless you want to be bullied out of office and constantly surrounded by conspiracies). I don't think he's inherently unelectable, but I do think the persistent, public bullying by Labour MPs, and the hostile stance of the press (including, in a case of bias that reeks to heaven, the BBC) is making him so. A political self-fulfilling prophecy. That said, there's no way in hell that I'd vote for Angela Eagle after finding out more about what she stands for (last year, I'd voted for her as Deputy Leader). I guess a whole lot depends on who stands against him. If Jo Cox were alive, I would vote for her in a hearbeat. I would consider voting for MPs who are new to Parliament since the 2015 election, provided they stand for things I can support, and provided they haven't been part of this horrendous bullying. I would prefer seeing Corbyn in a shadow cabinet, as Shadow Foreign Secretary or Shadow Minister for Work and Pensions, and someone young, idealistic, freshly elected and not tainted with the stains of toxicity & backstabbing as leader of the Labour Party. Failing that, I will probably vote Corbyn again. I suspect that, unless things change, I will leave Labour. The way the parliamentary party has been acting is nothing short of despicable and abhorrent. I'm vaguely horrified that I am more impressed by the Scottish Nationalist Party (even though I hate any and all nationalism) than by Labour. It seems to me that the real reason why this country's politics is being torn apart is the First Past The Post electoral system. It is this system which created two political parties which are largely tribal, with limited ideological basis. It is this system which has resulted in voters getting more and more frustrated and angry, as they struggle to find a politician or party that they can support. It is a system which forces people to vote for the lesser evil, rather than the things they really believe in. Now I know Owen Jones is an 'acquired taste' (he seems like a smug lefty demagogue to me whenever I see him), but have a look at this video. He actually talks sense. ...and yes, PR would mean a much bigger UKIP presence in Parliament, and other parties I don't like. But that's democracy. Let people vote for something for a change, rather than voting against things. The compromises required to form a government are much more palatable if the coalition of ideas is one between different parties, rather than an internalised coalition of specific MPs. If you agree, please join / follow / support Make Votes Matter. It's the only way to fix Britain's political system and make meltdowns like the one we are witnessing at the moment less likely.